Cheesy magic is about to happen in your kitchen. 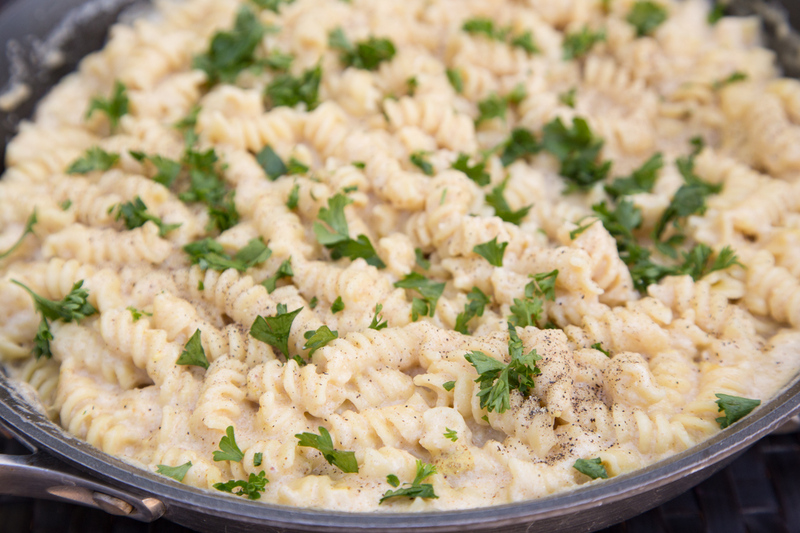 Have you ever made a homemade cheese sauce? If not, please do so…like, tonight. I’m showing you how in the video (you can watch the complete FB Live video here.) It’s super simple and after watching, you’ll have the confidence and inspiration to try! What makes this recipe so amazing is the combination of mild cheddar, mozz and sharp cheddar. You can totally play with different cheese flavors (I also love Gouda or Gruyere in homemade cheese sauce) in the sauce. This is a “basic base” and it’s easy to add other flavors like Dijon mustard, garlic, minced onion, as well as creamy-tangy-ness from sour cream or cream cheese. Also, you could load in all kinds of other goodies into this cheese sauce – browned ground beef/ground turkey or shredded rotisserie chicken. Veggies t00 – broccoli or peas. Just toss it all together and you’ll end up with a one-skillet meal! Cook pasta as directed in large saucepan. In large skillet, melt the butter and whisk in the flour to make a thin paste. Quickly pour in the milk and whisk while pouring to prevent clumping. Let bubble over medium high heat, stirring occasionally. After about 5 to 8 minutes, the sauce should thicken up. Stir in the shredded cheese and blend until they melt into the sauce. Stir in the mustard and garlic powder and season with salt and pepper to taste. Toss the cooked pasta into the cheese sauce, remove from heat. Sauce will thicken slightly as it cools. Optional: top with breadcrumbs and run under the broiler for 2 to 3 minutes to toast the breadcrumbs. 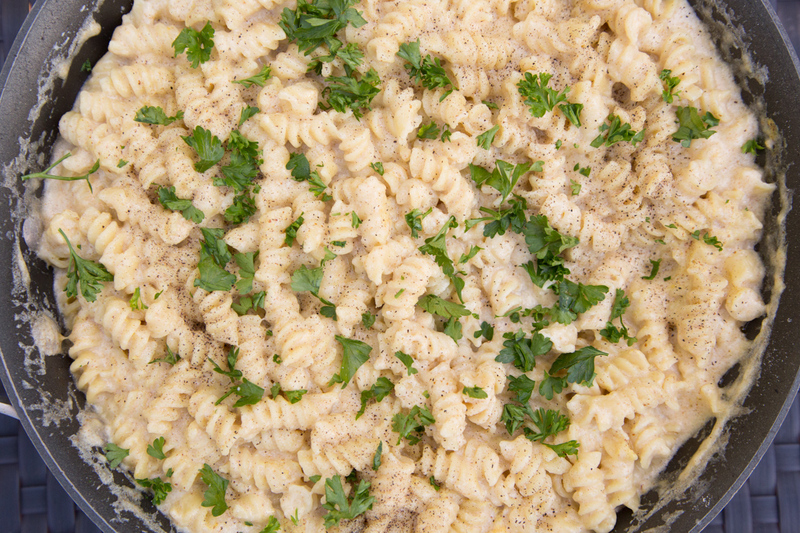 Add chopped parsley garnish. 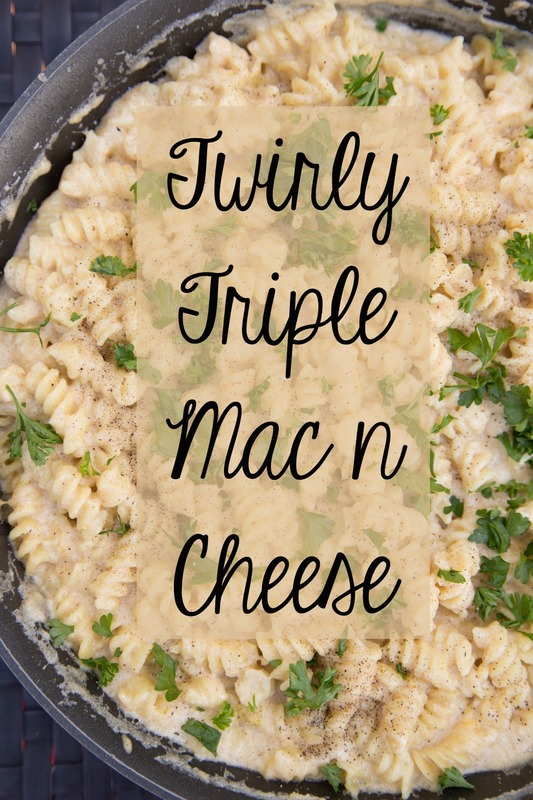 Serve Twirly Triple Mac n Cheese with fresh fruit and veggies.